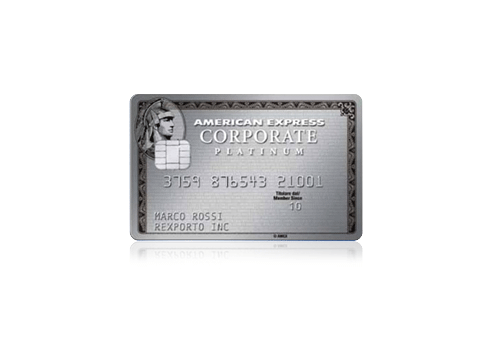 American Express Corporate Card programmes help to streamline the management of many business costs. Companies benefit from robust and flexible spend information which helps drive cost negotiations with key suppliers. Employees benefit from simplified expense claims and the opportunity to join2,3 American Express' Membership Rewards programme. 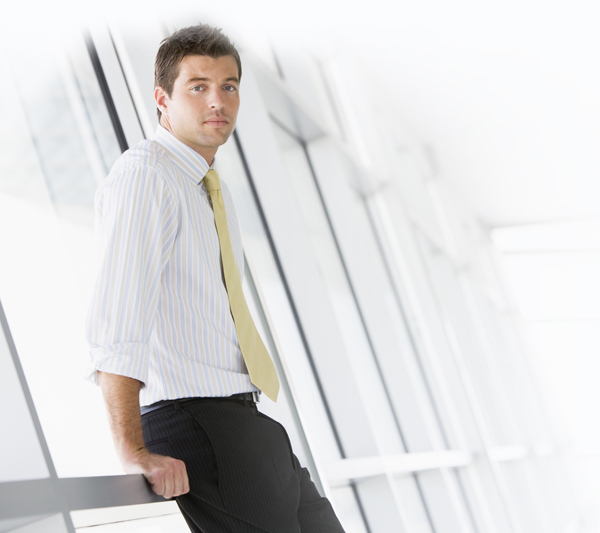 Take control of your company's business expenses with an American Express Corporate Card. It can simplify expense management for your business and drive savings through greater leverage over suppliers. Apply by 30th June 2012 and pay no annual fee on any Corporate Card for the first year. Subject to approval. Terms apply. Priority Pass offers extensive lounge access exclusively to Platinum Corporate Cardmembers, allowing them to work productively while they wait. This is in addition to the unique privileges and exceptional personal services the Card offers. Apply by 30th June 2012 and your first year fee will be waived. Subject to approval. Terms apply. To find out more about how our Expense Management Solutions can best support your company, click below. For virtually all your company's business expenses including air travel, hotel stays, restaurants, couriers, office supplies, phone bills and more, American Express Corporate Cards represent a flexible and secure payment method. The British Airways American Express Corporate Card enables your company to earn more On Business® Points5,6, which can translate into substantial travel budget savings. Cardmembers can earn Avios7 on virtually all business expenses charged to the Card. In addition to the optional employee Membership Rewards®1, all Cardmembers benefit from fraud protection and Travel Accident and Travel Inconvenience Insurance1 for trips booked on the card. Further benefits are outlined in the 'In Detail' section. 1 American Express Services Europe Limited ("AESEL") makes various benefits available to users of AESEL Corporate products or services which derive from contracts which AESEL has made with third parties. AESEL is free to amend, extend or terminate these benefits at its sole discretion. These benefits do not form part of AESEL's contract with you but AESEL will provide reasonable notice to you or your company of any changes to the available benefits which may be to your detriment. One of the benefits currently available is the benefit of contracts of insurance held by AESEL with certain insurers. You will lose these benefits if you cease to be a user of AESEL Corporate products or services . Terms, conditions and exclusions apply. Details can be found on the American Express website. American Express Services Europe Limited. Registered Office: Belgrave House, 76 Buckingham Palace Road, London, SW1W 9AX, United Kingdom. Registered in England and Wales with Number 1833139. American Express Services Europe Limited is authorised by the Financial Services Authority under the Payment Services Regulations 2009 (reference number 415532) for the provision of payment services. For insurance mediation activities only, American Express Services Europe Limited is an Appointed Representative of American Express Insurance Services Europe Limited (reference number 311684) who is authorised and regulated by the Financial Services Authority. Details can be found on the FSA Register. 2 Membership Rewards Programme. Enrolment required. Annual programme fee to enroll a Green or Gold Corporate Card is £30 + VAT. No enrolment fee applies to Platinum Corporate Card. Some Corporate Cards are not eligible for enrolment. Participating Membership Rewards partners, available rewards, and point levels are subject to change without notice. Eligibility is based upon company's participation in the Membership Rewards programme. 4 Corporate Savings Plus ("CSP") programme: pursuant to the CSP programme, eligible, active, corporate customers of American Express can access pre-negotiated discounts on qualifying purchases made with the American Express Corporate Card at participating CSP Merchants. All offers are promoted by the Merchant, not American Express. Merchant's terms and conditions apply. See americanexpress.co.uk/csp for full details. 5 For the purpose of awarding On Business Points®, "a year" is defined as the anniversary of the date on which the Card was issued to the Cardmember. 6 Companies participating in the British Airways American Express Corporate Card programme receive 50% more On Business Points® than those solely participating in the On Business programme. 7 For Terms and Conditions on Avios, please refer to Terms and Conditions of use. 8 Concierge services. There is typically no cost to you for the efforts Concierge consultants perform on your behalf, although you are responsible for any purchases and/or shipping charges you authorize. 9 Platinum Corporate Cardmember needs to present a Corporate Platinum Priority voucher to gain entry to Fast Track access at participating terminals in Heathrow Airport. Each Platinum Corporate Cardmember is entitled to up to five vouchers per year, defined as the anniversary of the date it was issued to the Cardmember. The vouchers are mailed to each Cardmember in the month of Card anniversary. For full terms and conditions please refer to the voucher. 10 Car Rental Privileges. Benefits given to Corporate Platinum Cardmembers are subject to each car rental company's terms and conditions, including age restrictions, and require enrolment to receive benefits. Cardmembers must be affiliated with the Platinum Card Programme codes received at the time of enrolment. Fine Hotels & Resorts. In order to receive the Fine Hotels & Resorts programme amenities and rates, call the Corporate Platinum Card Travel Desk or refer your travel professional to the Corporate Platinum Card Travel Desk. Payment must be made with an American Express Card in the Corporate Platinum Cardmember's name. Advance reservations must be made through the Corporate Platinum Card Travel Desk prior to arrival. Combinable with Fine Hotels & Resorts programme amenities, rates, and room categories only. Must reserve Fine Hotels & Resorts rates and room categories in order to receive promotion benefits. One special programme amenity per room, per stay. Cardmembers may reserve up to two (2) additional rooms other than for his/her own use inclusive of the standard amenities and negotiated rate. The Cardmember must accompany the party as a guest for which Fine Hotels & Resorts programme reservations are made. If the Cardmember cancels his/her reservation, the Fine Hotels & Resorts ("FH&R") programme rates and amenities will no longer apply to any remaining reservation (s). Back-to-back stays within a 24-hour period at a single FH&R Hotel are considered one stay. American Express acts solely as sales agent for travel suppliers and is not liable for the acts or inactions of such suppliers. 11 Travel Services Locations. All services are subject to local laws and cash availability. Not all services are available at all locations.